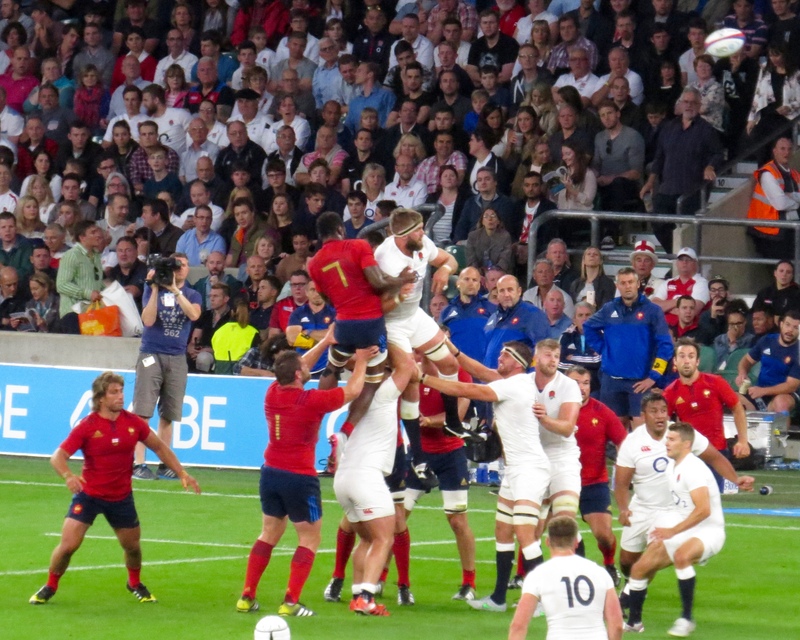 An afternoon at the football was followed by an evening at the rugby – I’d spent the previous Saturday in the Millennium Stadium watching Wales perform fairly, hmmmmm, averagely against Ireland. 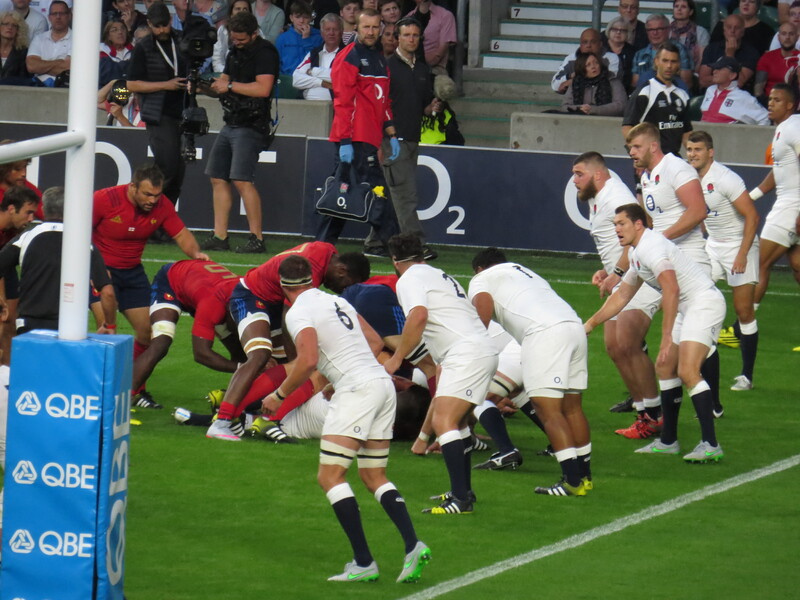 I was looking forward to a hard fought decent game of rugby between England and France. I confess to being disappointed with my seat, I’d paid £96 to sit in a corner, not quite as good as my £50 seat on the halfway line the previous week. 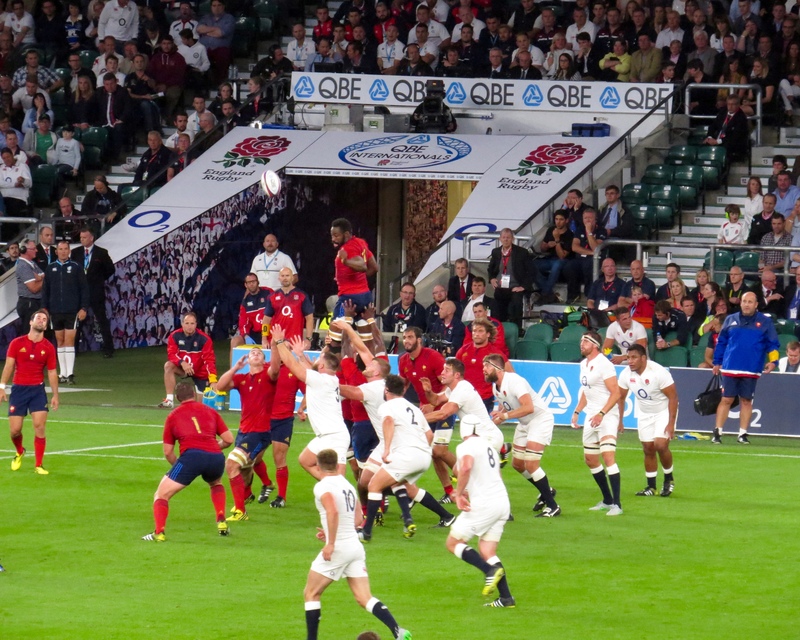 There is of course a supply and demand issue here but the stadium was by no means full, might there have been a full house if the tickets had been cheaper? I am going to have a big moan about my neighbours now, having had a small moan about my sear and its cost. 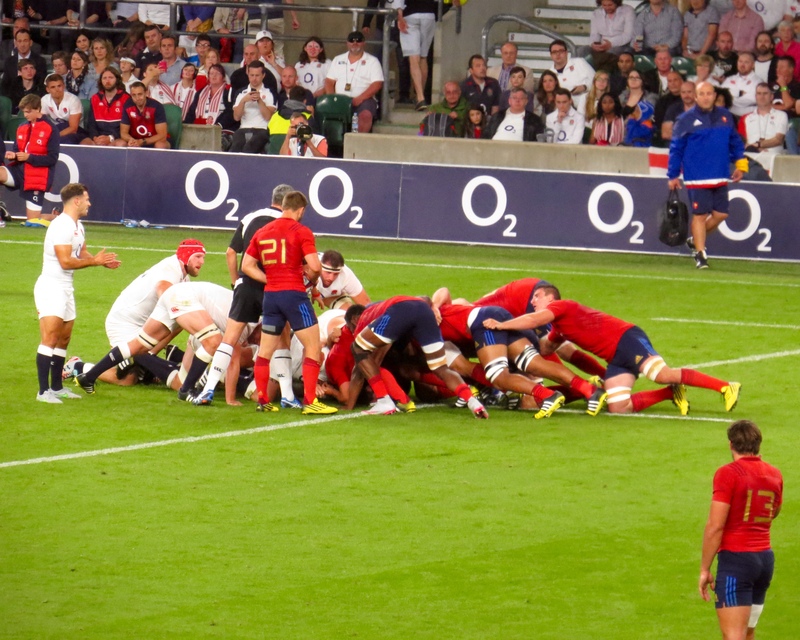 4 ladies came along close to kick off, they had 4 of the ‘beer’ cups apiece, the lady next to me told me she didn’t really know the rules but she loved the atmosphere. She then spilt her cider over me while she took a selfie. The four of them didn’t stop talking all the way through the game, which they barely watched. It was grrrrrrr! Bah humbug I know but my goodness they were annoying! It never ceases to amaze me that people will pay those prices to basically get drunk. The National Anthems were performed by a lovely lady apiece – I just can’t help but sing both. 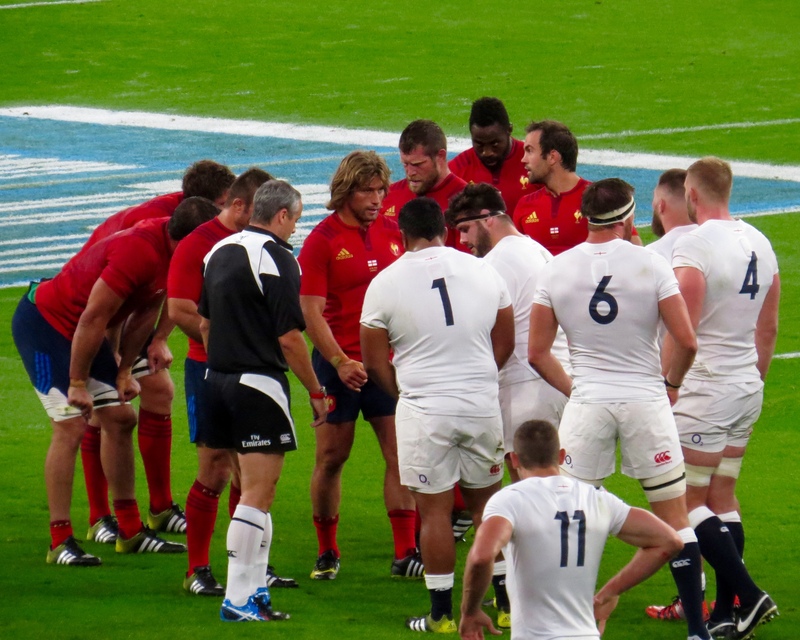 Well, in the case of the French anthem make up my own version; very rousing! 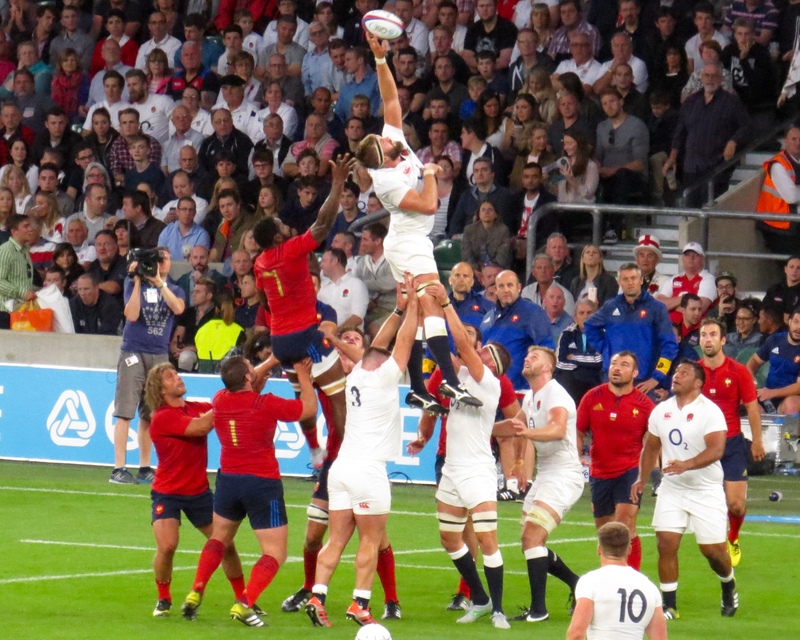 I’d love to see the anthem we sing for the England team changed to Jerusalem, it has so much more gusto to it! 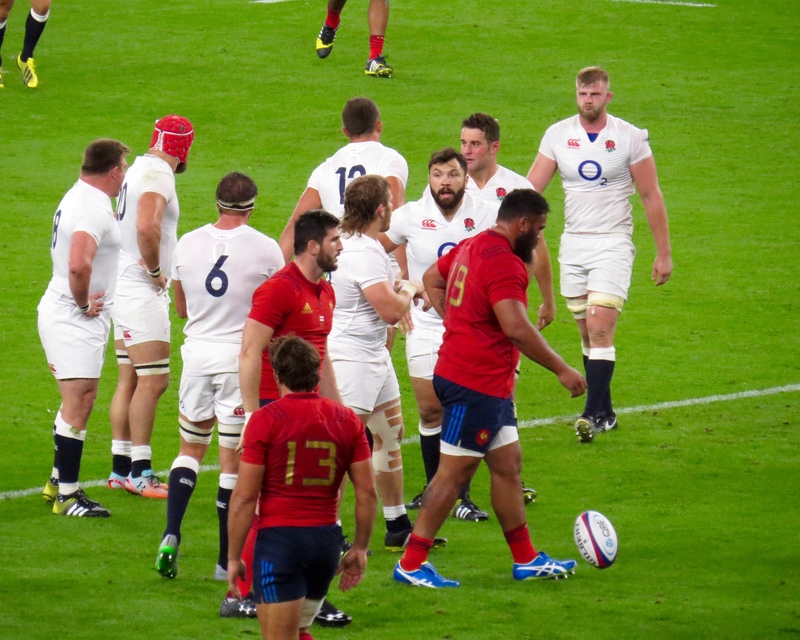 The team picked by Stuart Lancaster looked very much like a possibles with a few probables, a have a look see team. 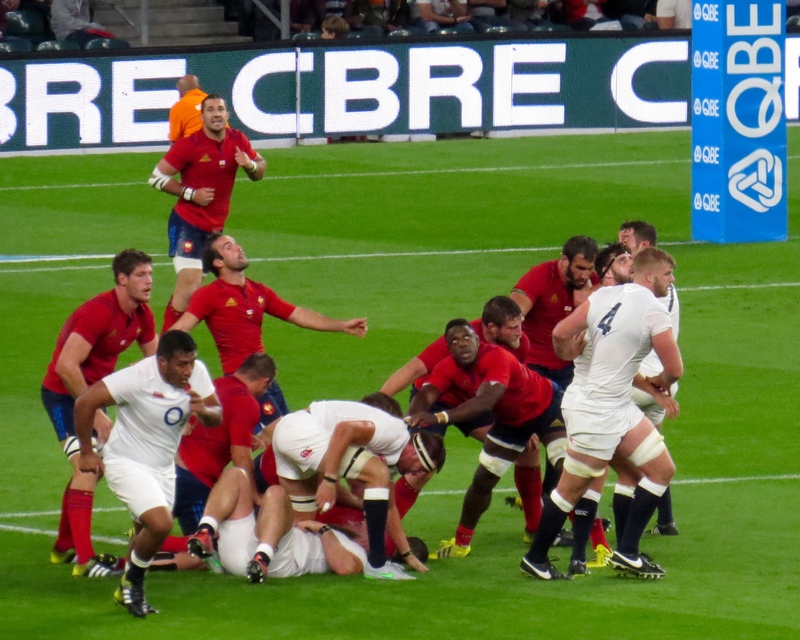 There were some very notable names missing, the player getting the lions share of the pre game media attention was of course Sam Burgess. 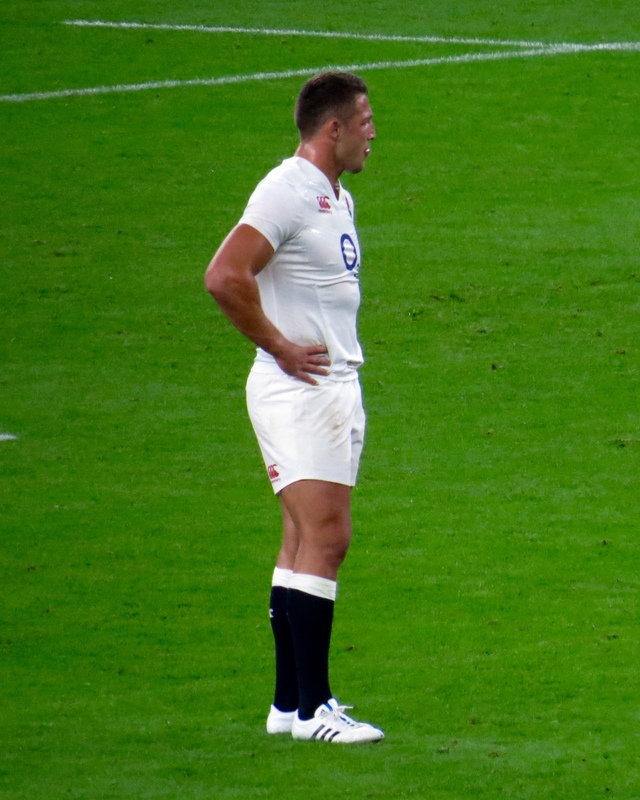 Burgess was starting at Inside Centre – he’d played in 16 games before this one and had switched to No 6 for Bath at the end of the season. 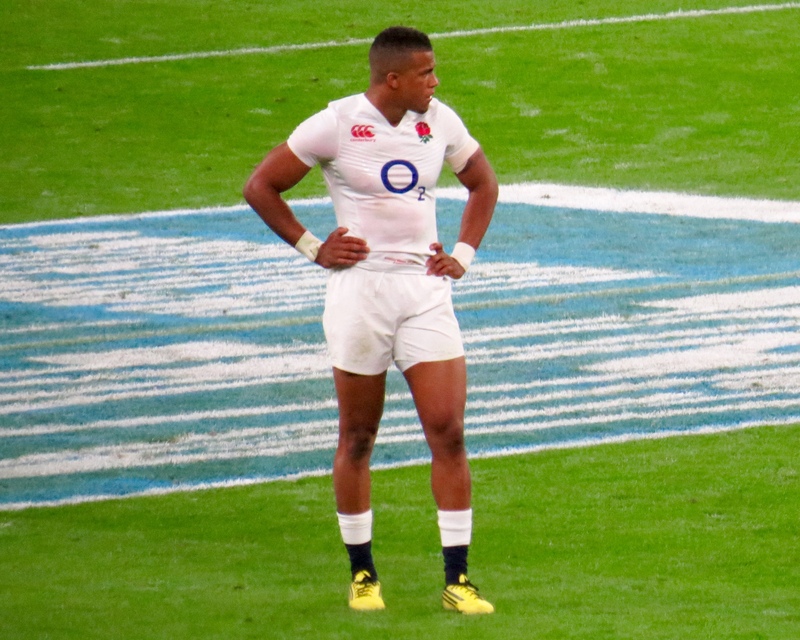 He is clearly a World Class athlete and rugby league player, would he show that same class in the England team? 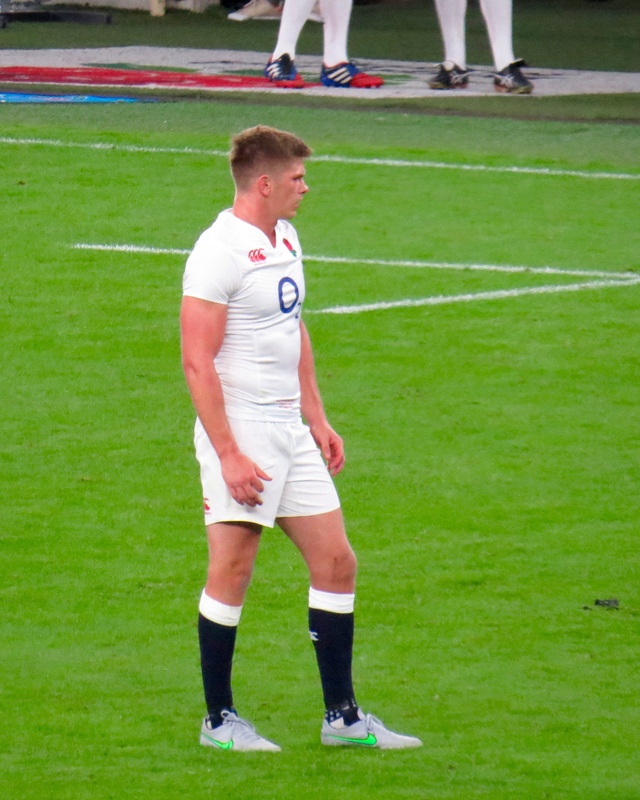 There were other debutants in the senior England team the most notable being Henry Slade. 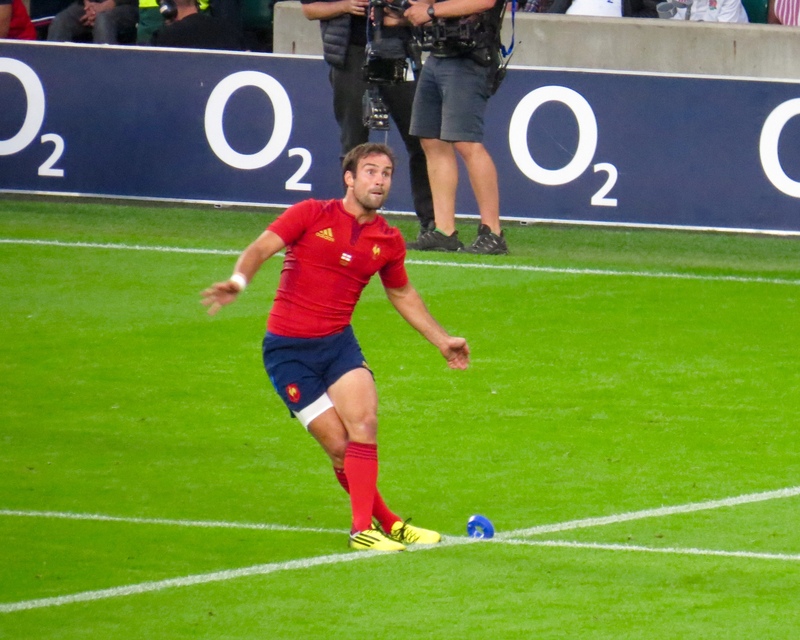 His club position is Fly Half, he was positioned at Outside Centre. 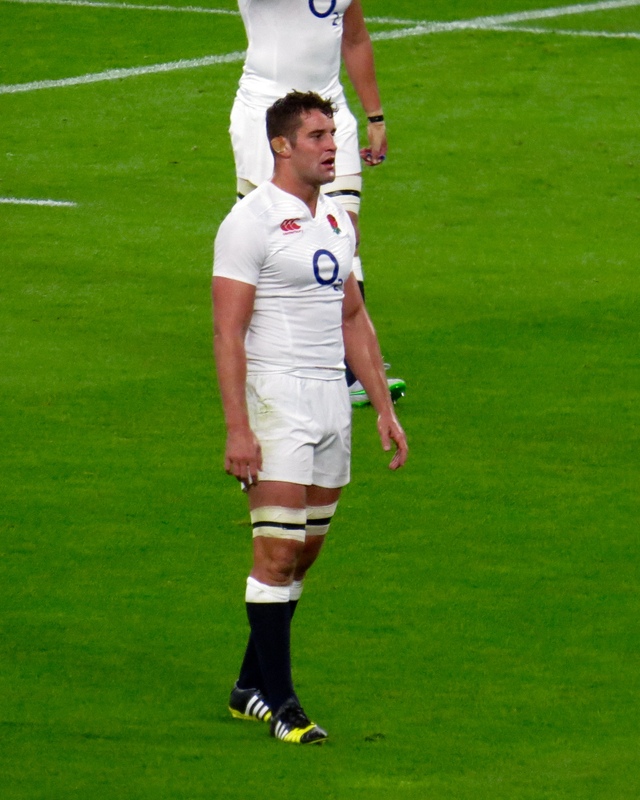 Having seen Slade a few times for Exeter I was keen to see him in the white shirt of England. 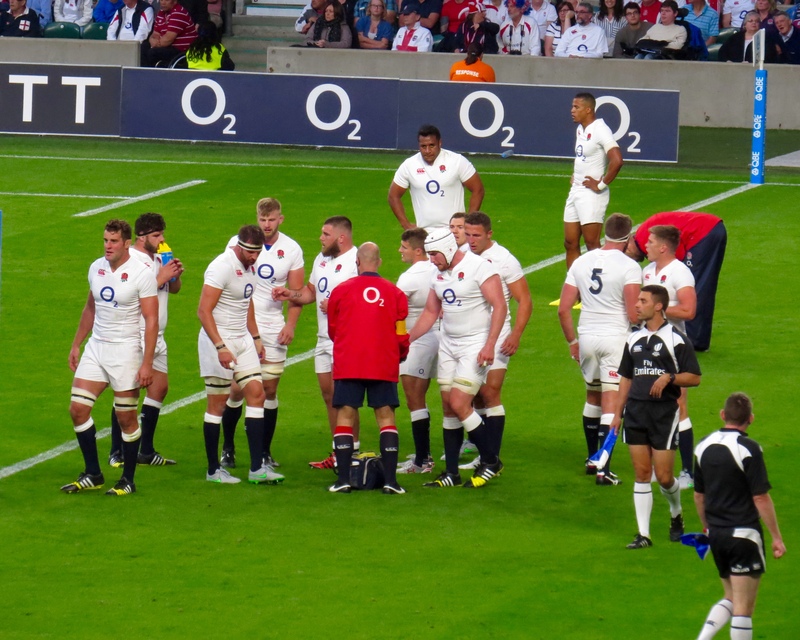 As an aside (another one I know) I myself was wearing the rose – as part of O2’s Rose Army I’d been sent a shirt that morning – my goodness I thought I was going to pass out from the heat! Totally out of my comfort zone to wear trousers and a rugby shirt too, I literally only own gym trousers. But, the shirt it had to be! The majority of those stats should tell the story of a French win, yet they couldn’t convert their possession into 5 pointers. 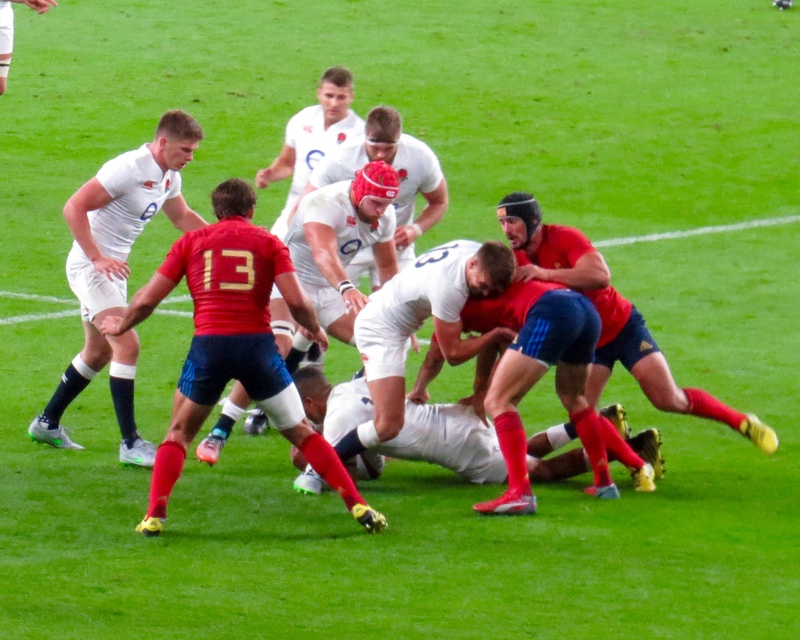 They clearly dominated in some facets of the game, I’d say that the English forwards didn’t cover themselves in glory, yet there were 18 turnovers . 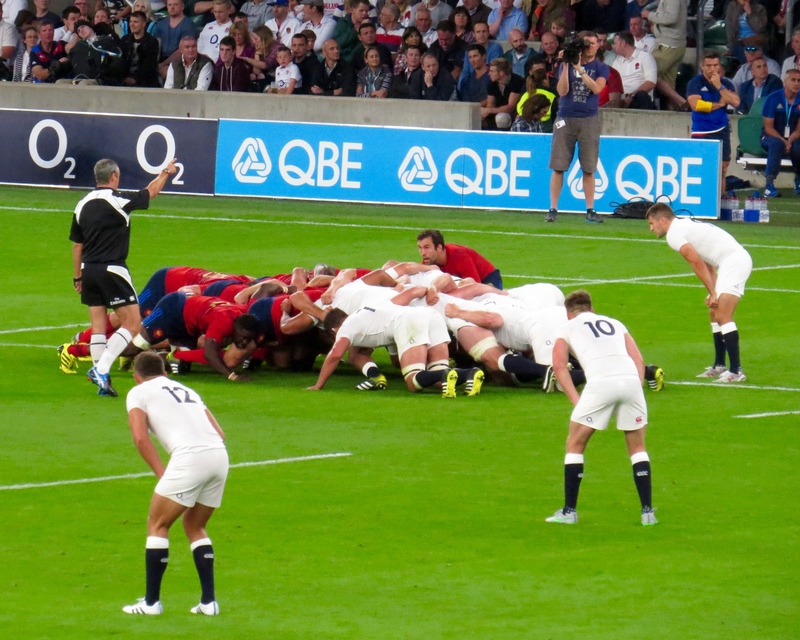 France were rewarded with a penalty for their early pressure, unlike most international team their kicker is often the scrum half and Morgan Parra was no exception, he scored the 3 points. 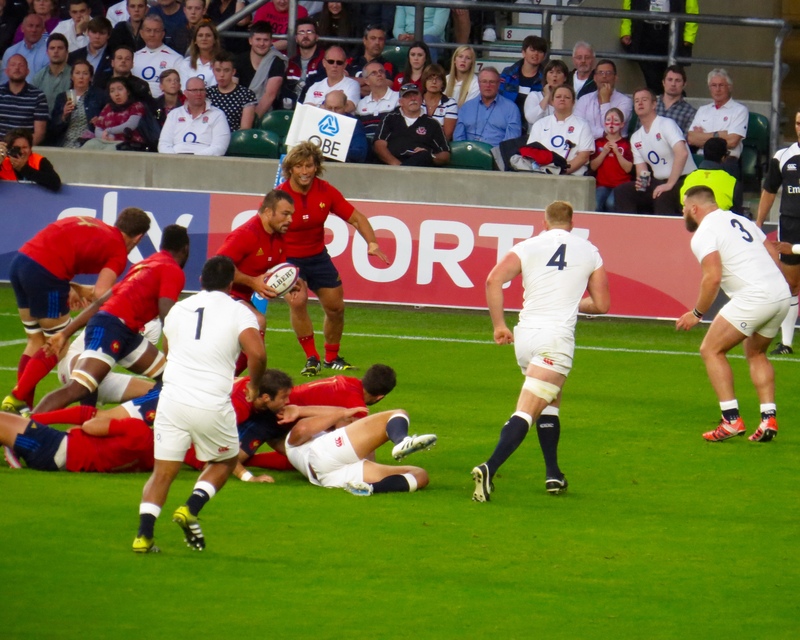 There was some scintillating play from the England backs resulting in a try for Anthony Watson out wide after 13 minutes out wide. 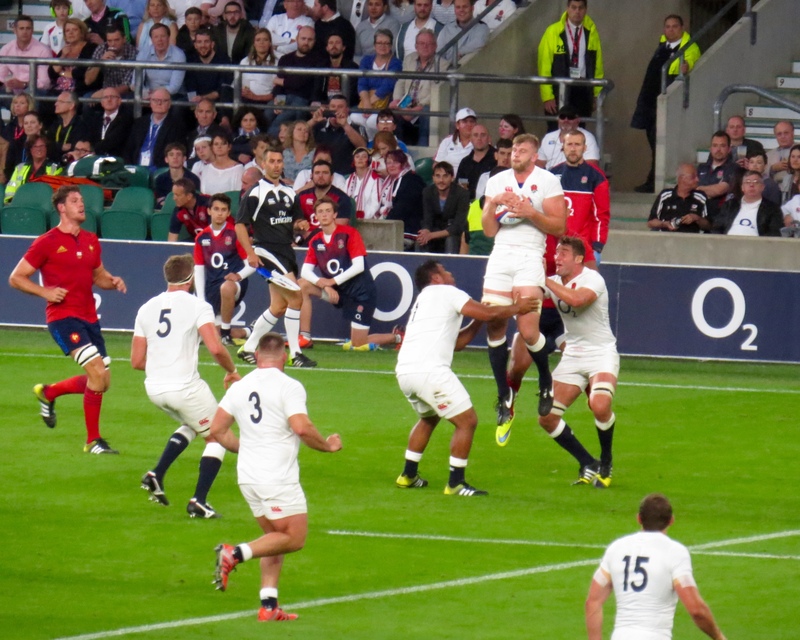 Owen Farrell who must be the most reliable kicker in the squad added the extras from the side line. 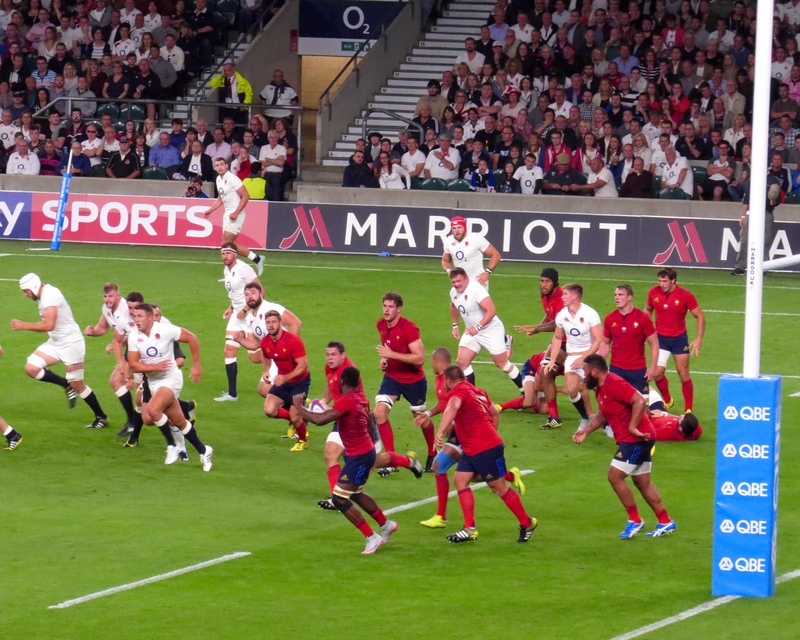 Jonny May and Watson combined for the 2nd England try 5 minutes later, it was good to see the ball pass through the hands for both tries as well as to see the acceleration of both wingers. The kick went wide this time. 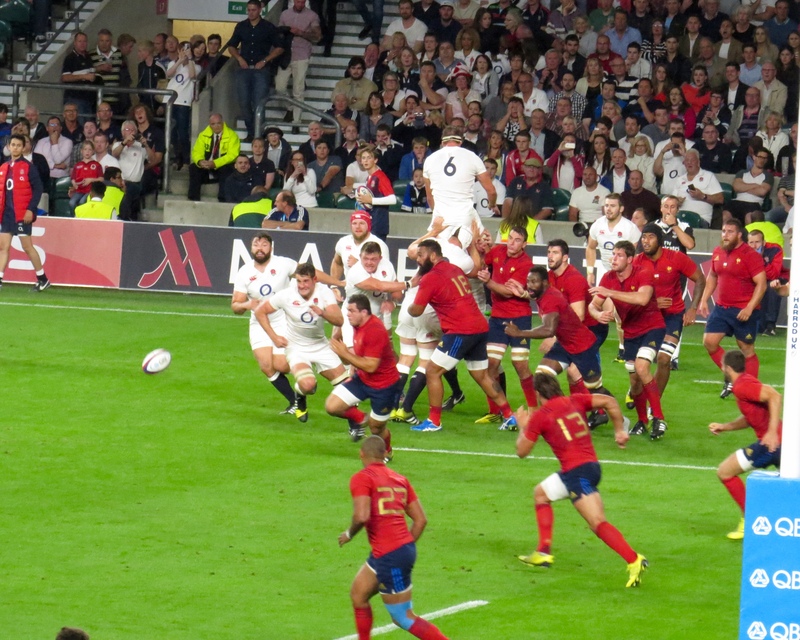 The English scrum was struggling against the experienced French 8 and they conceded a penalty as Mako Vunipola popped up, duly converted by Parra. 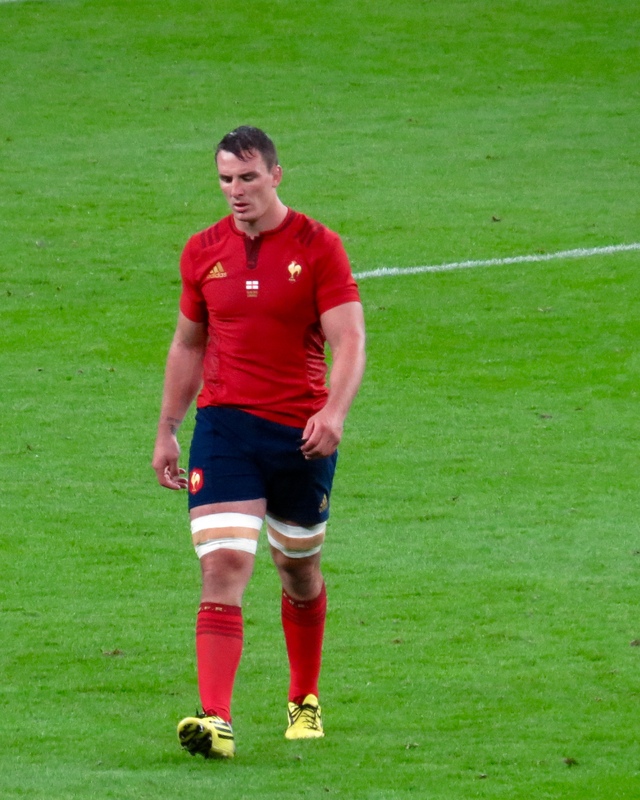 I’d say that Louis Picamoles was the French Man of The Match, I may have been looking with biased eyes, he’s always been a favourite of mine. 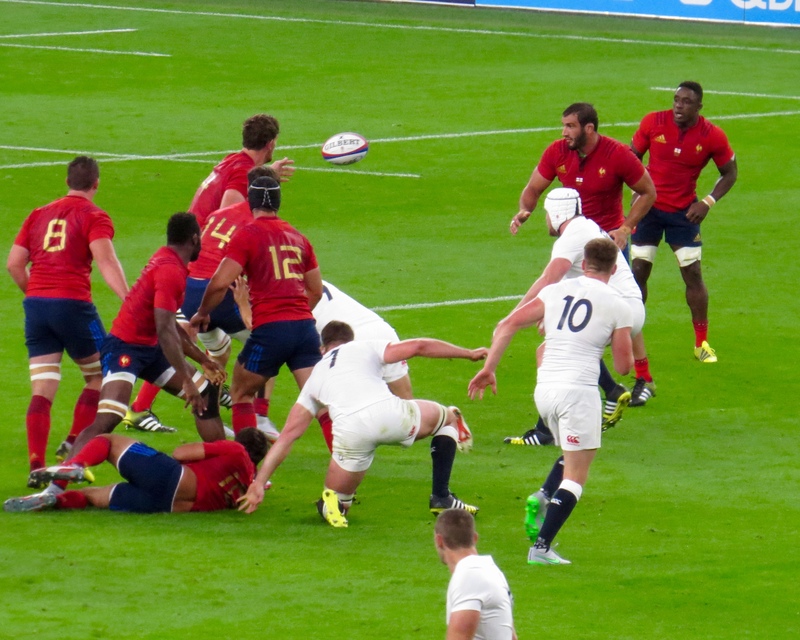 He made a fantastic break through the middle – I might have cheered him on – but wasted the move with a poor pass. 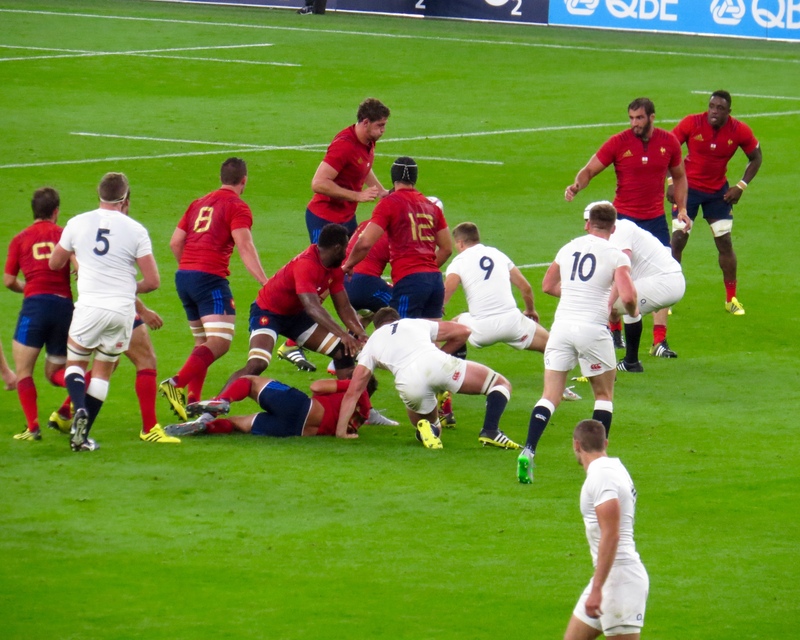 France were however awarded a penalty as Kieran Brookes was penalised in the scrum, the kick was in front of the posts and easily slotted over by Parra. 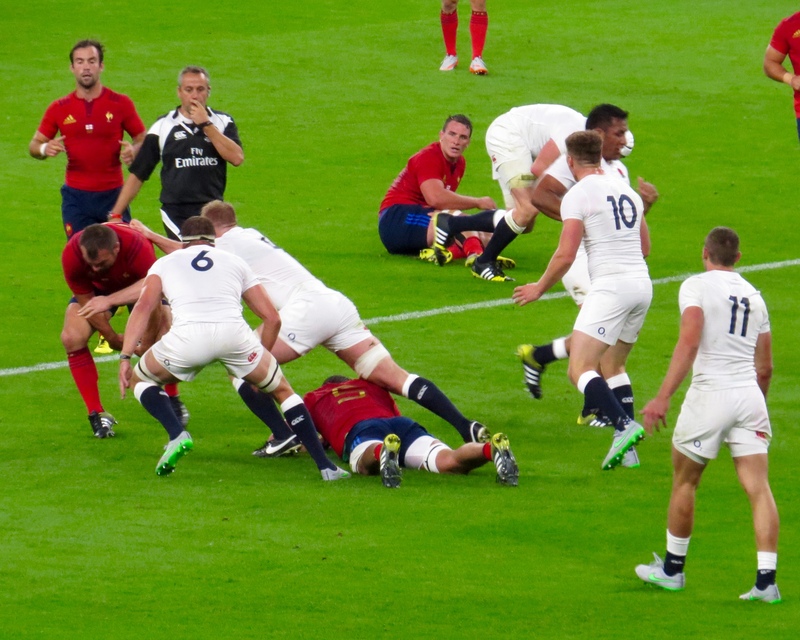 To make mention of that man Sam – he did make several big tackles but I remain worried about the height of his tackle and the use of arms. 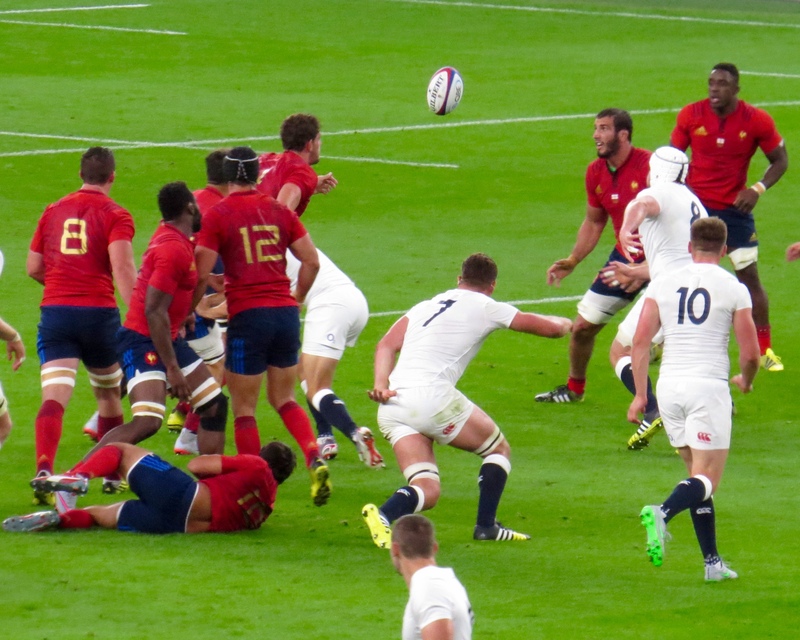 He tackled high as a rugby league player and years of instinct is very hard to shake. 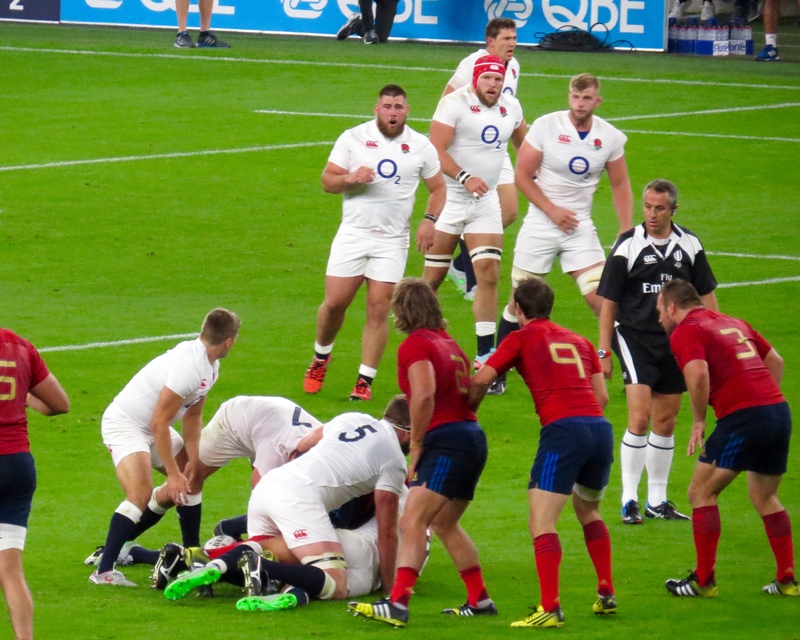 He is a hugely impressive physical presence on the pitch but…… A silly pull back saw him sent to the naughty step, otherwise known as the sin bin for 10 on 36 minutes. Instinct? 15 men will be needed on the pitch for every minute of the World Cup games. 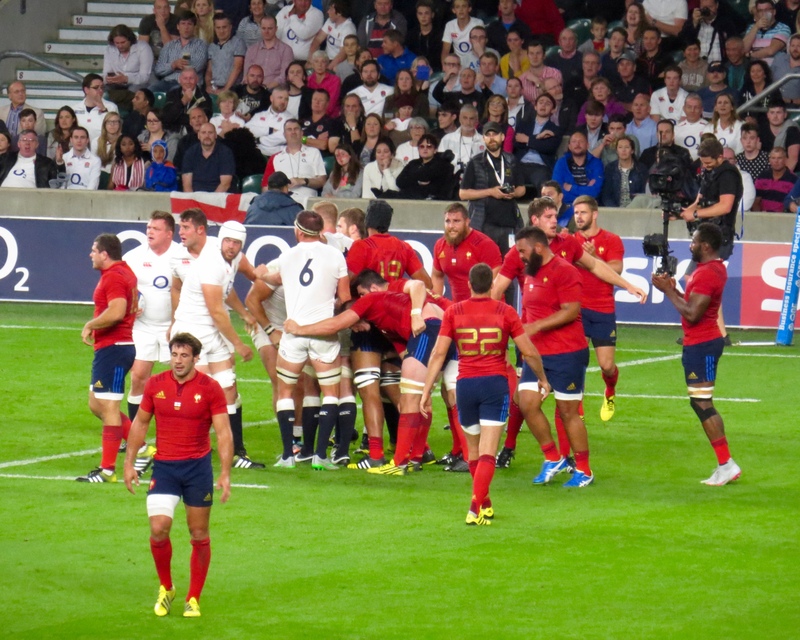 The teams went in at half time with the score on England 12 France 9. My noisy neighbours went off to buy more cider and didn’t come back until the 2nd half was 15 minutes old. 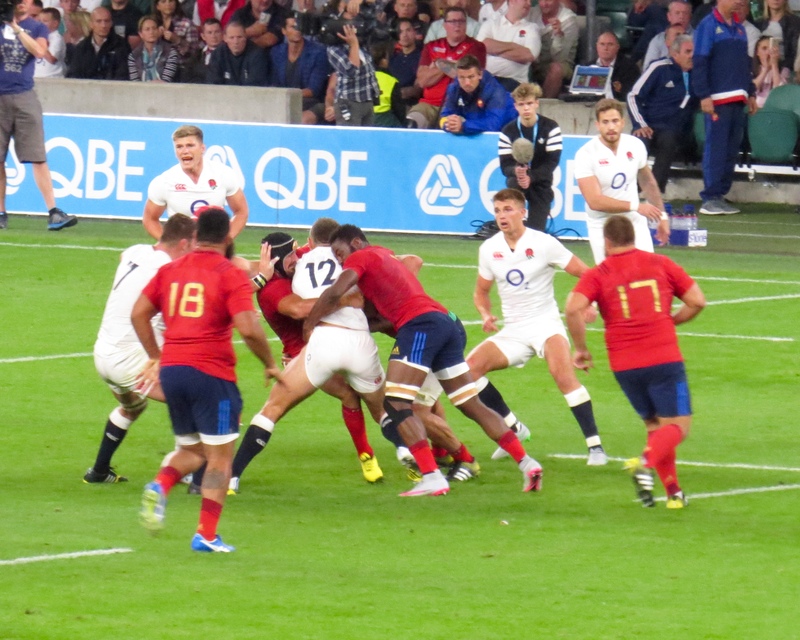 That meant the ladies missed a Beautifully worked try for England Henry Slade made a neat pass to Alex Goode who showed his number 10 credentials with a neat chip kick for Jonny May to take. 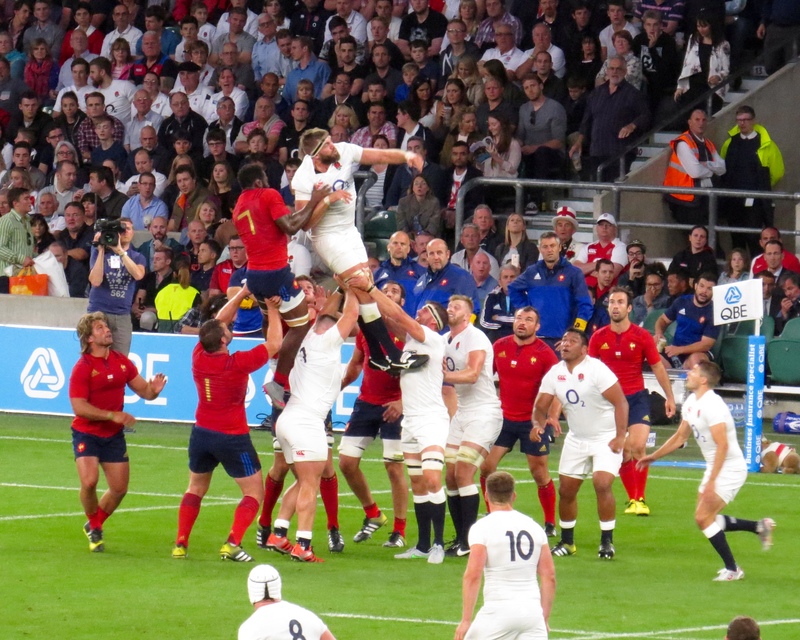 May caught the ball and ran into space to score, cue much shouting and jumping out of seats! 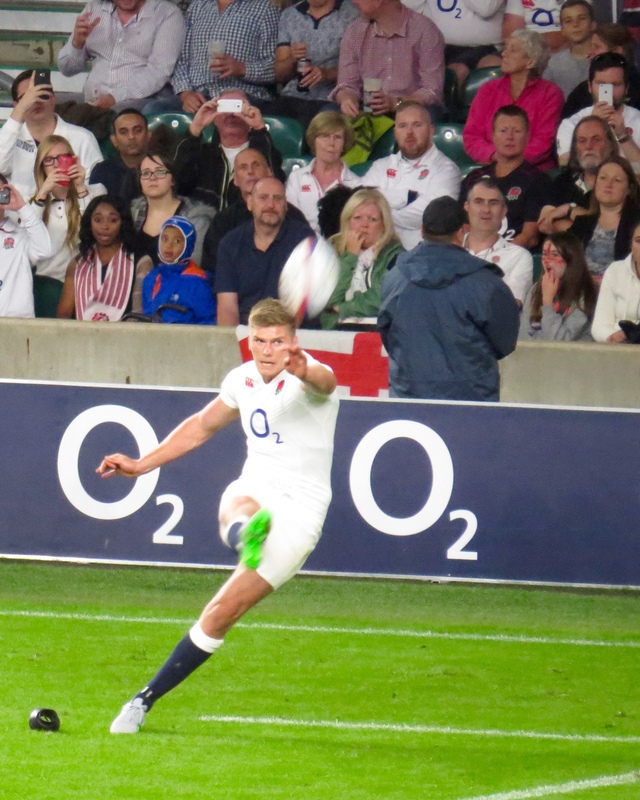 Owen Farrell converted another kick from the sideline. 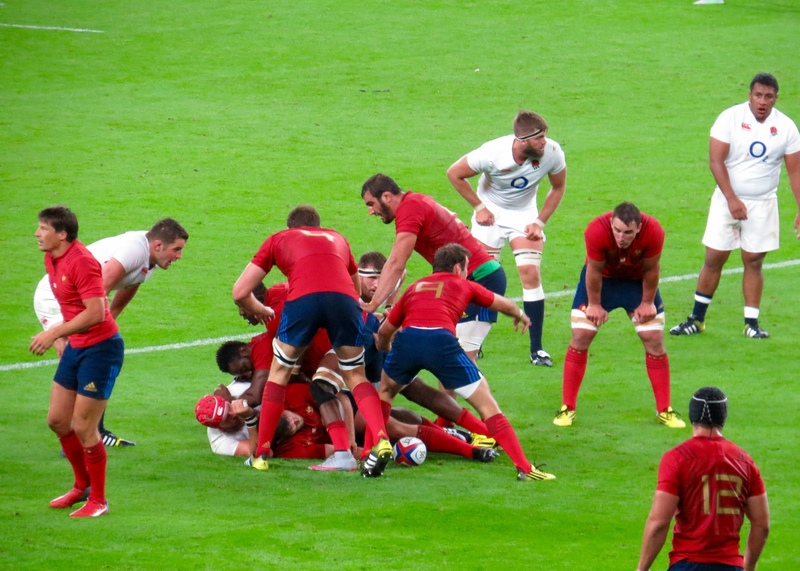 England saw yellow again after Calum Clarke tried to clear Yannick Nyanga out by his neck, not an ideal situation again. 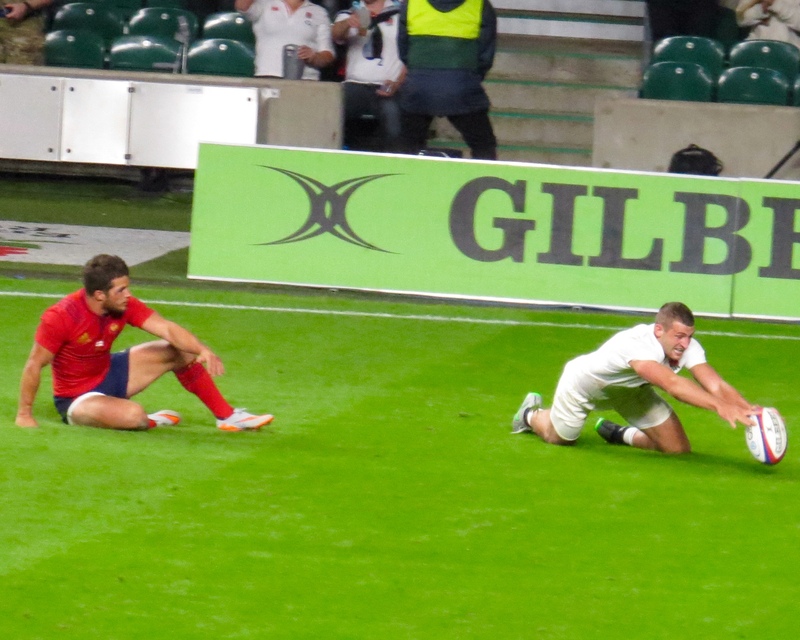 Danny Cipriani and Luke Cowan Dickie had entered the fray to the delight of the crowd – to make a girl comment here – oh my word that hair!!! Just why would you? I suspect it’s becoming Cowan Dickie’s trademark but really! 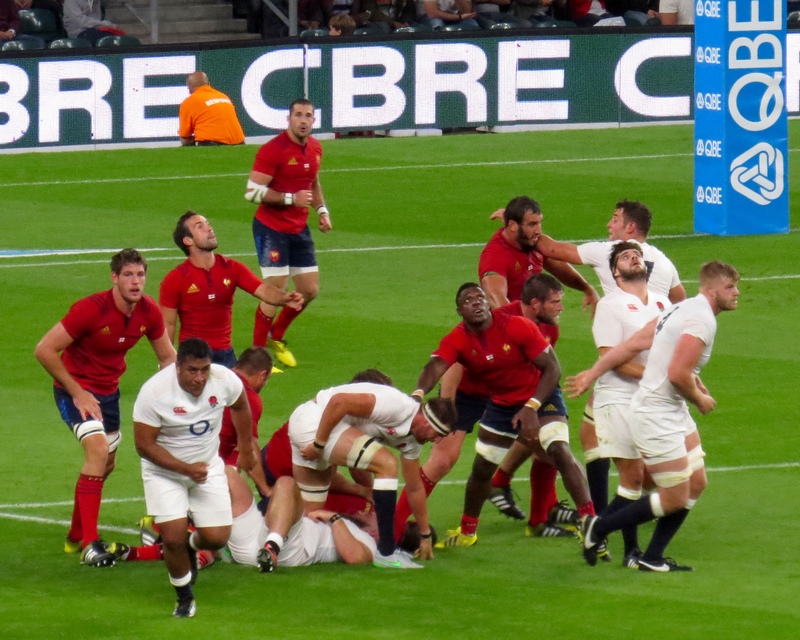 Wrapping up the game spiel – France scored a try on the 61st minute through Fulgence Ouedraogo – I can’t even begin to imagine how his name’s pronounced! Rory Kockott (French?) 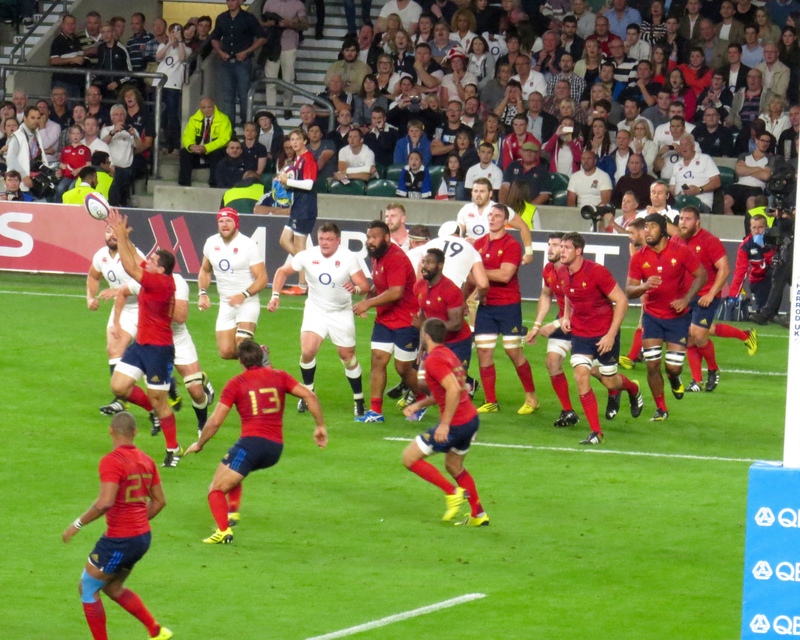 missed the kick, but the try make the final 20 minutes tense. 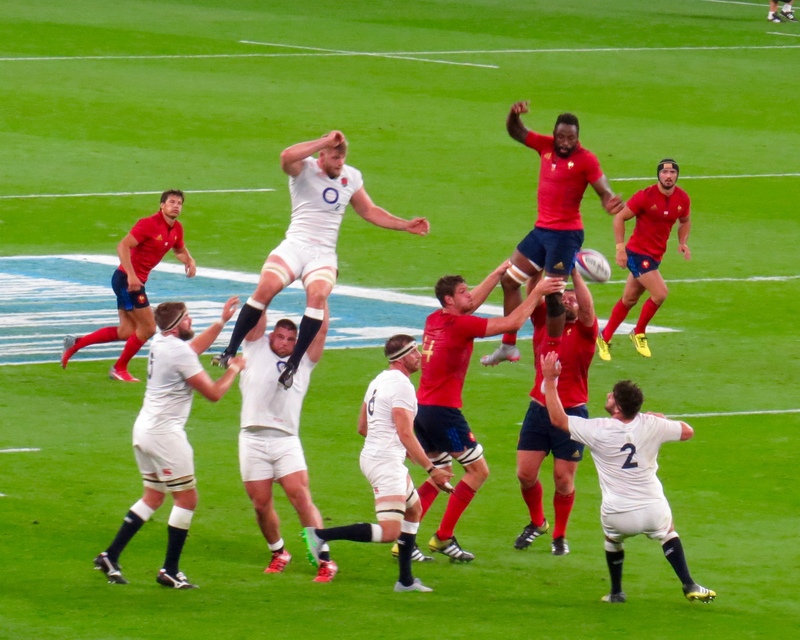 The game finished with a win for England with their 19 points outdoing France’s 14 -but it was by no means emphatic. 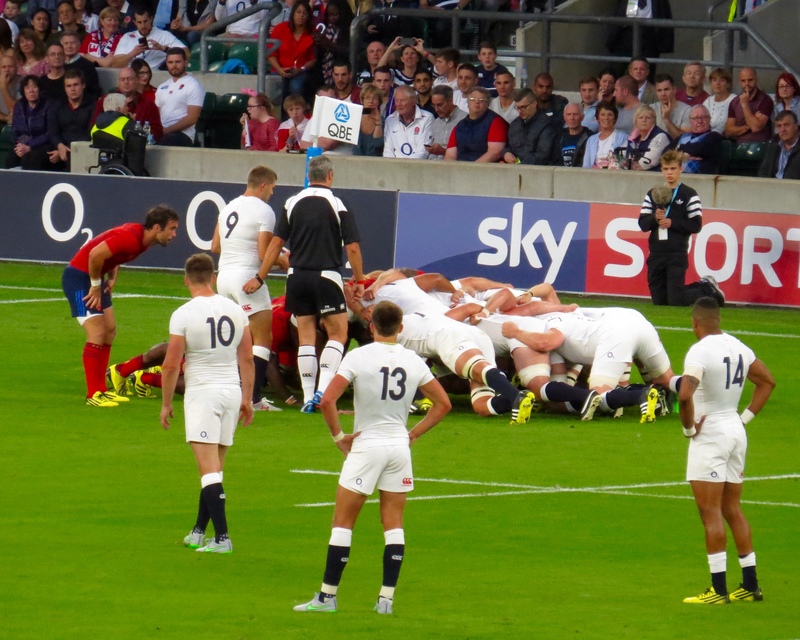 The game was a warm up, a look see and a win, lots learnt I’d say. 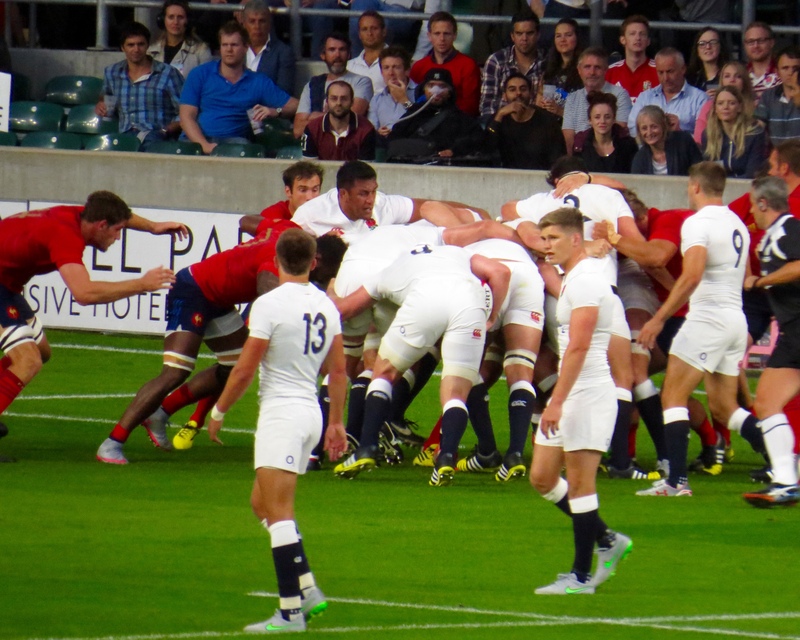 With new arrangements in place at the end of the game I joined the queue for a bus to Waterloo, I had a great chat all the way with a father and his two sons, I’m not sure if they told me their names but we had a lively rugby discussion and the journey worked well if it was a little scary at times as we were standing. 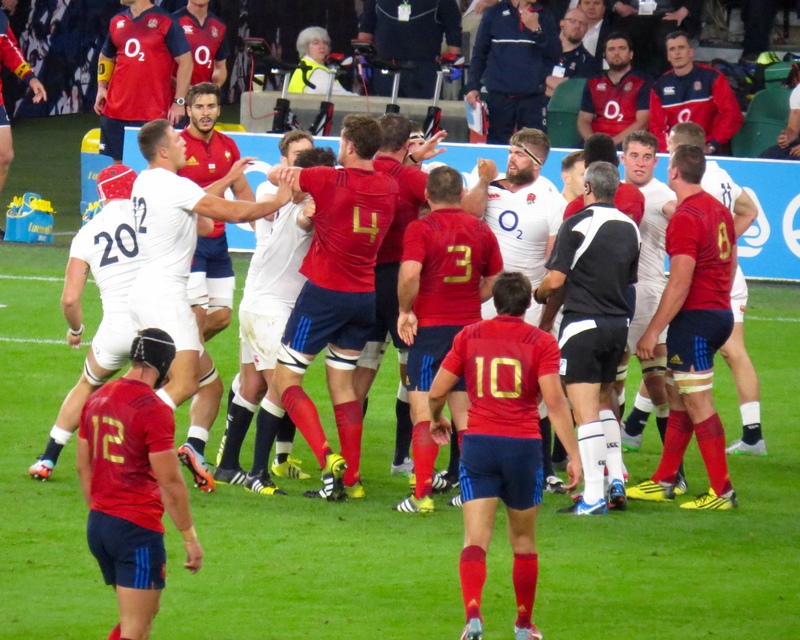 I think I may have said more about the game than I intended – but hey ho, I get carried away. Oh, and I got muddled up on the placing of my photos, oops!